Indian Khana, Made Easy: Embrace The "Heat" & Celebrate! Embrace The "Heat" & Celebrate! It seems like there's a food festival every other day. Many of them are a bit too much for my taste. However, there are some that are worth celebrating like the Hot and Spicy Food Day, which was today. This festival brings lovers of fiery recipes together to enjoy heat-filled foods. Although the exact origin of the day is unknown, archaeologists believe that humans have been eating spicy foods for 6,000 years! We celebrated the festival by cooking up some of our home grown peppers and enjoyed the hot flavors. Cooking with peppers can sometimes be tricky so it's nice to have ready made entrees handy. One of the brands we tried and liked are entrees by Tandoor Chef. Their dishes have all the right spices for heat-loving palates! 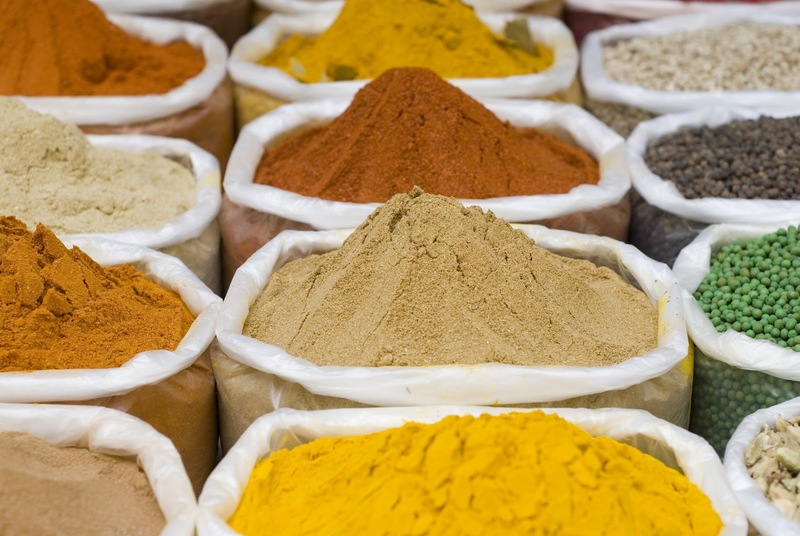 Also, the spices bring extra flavor to foods, health benefits and fun! Sweat it Out: Ever wonder why cultures in hot climates eat spicy food the most? Spicy food raises your body temperature to match the level outside, which causes you to sweat. The sweat evaporates and you cool off. So by eating hotter foods, people in these cultures stay cooler! Add a Healthy Kick: Spicy foods don't just help you sweat; they are actually good for you! Adding a natural kick from peppers and jalapenos can add flavor without increasing sodium or fat content of recipes. Chili peppers can also lower your risk for heart disease by reducing the effect of bad cholesterol. The spiciness can even help you battle a cold by clearing sinuses. Woohoo for health! Nutrients Galore: Chili peppers are also high in Vitamins A and C, beta-carotene and Capsaicin, which can help relieve pain and inflammation. Ease your Palate: Drink cold milk or yogurt when eating fiery foods. Dairy products can help neutralize the spices in your mouth while water or other beverages may simply move the heat around in your mouth. Whether for the health benefits, the thrill or just for fun, give spicy foods a try!! Tandoor Chef entrees and appetizers offer both vegetarian and vegan meals that will bring your taste buds alive. How did you embrace the "heat" and celebrate Hot and Spicy Food Day? We would love to hear from you! It's All About The Peppers! Spice Up Your Bean Salad!